There has been a lot of tweets and blogs devoted to an article written recently by Don Norman for the MIT Technology Review on wearable computing. 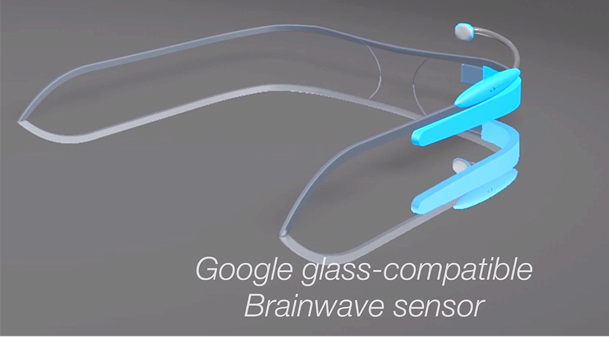 The original article is here, but in summary, Norman points to an underlying paradox surrounding Google Glass etc. In the first instance, these technological artifacts are designed to enhance human abilities (allowing us to email on the move, navigate etc. ), however, because of inherent limitations on the human information processing system, they have significant potential to degrade aspects of human performance. Think about browsing Amazon on your glasses whilst crossing a busy street and you get the idea. The paragraph in Norman’s article that caught my attention and is most relevant to this blog is this one. Speaking as someone who has written about physiological computing for almost ten years, I don’t recognise this conceptualisation of the technology. Of course it is possible to do all those things, but I don’t understand why we would replace our inherent human capacity to assess the emotional states of others (which is sensitive, works with minimal demands on attention and is generally quite accurate for most of us) with a technological solution. In the same article, Norman says that he is a person who believes in the power of artefacts to enhance human abilities, but the kind of functionality described is redundant because it duplicates inherent human abilities. I have a couple of other issues with this part of the article, Norman talks about us “eavesdropping” on our internal states, which is something we do as part of everyday consciousness – and of course the psychophysiological inference is complicated, but to say it is often wrong is an oversimplification in my view. This part of the article seemed lazy and reactionary in my opinion but it did stimulate some questions about what physiological computing is meant to do? What is the raison d’être of this technology? How will it enhance human capability and potential? Let us consider brain-computer interfaces as our first example – in the case of able-bodied users, BCI provide a means to increase the bandwidth of communication, particularly if the person is involved in a task that is hands-busy or eyes-busy. BCI also provide variety in terms of the different ways in which we can communicate with a computer and permits the creation of novel forms of human-computer interaction. Both factors contribute to the popularity of BCI with the gaming community. 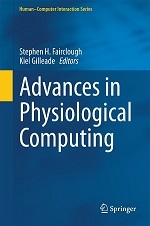 For affective computing and biocybernetic adaptation, the goal of physiological computing is to enable intelligent software adaptation. In this case, we are using technological artifacts (sensors) in order to enhance the capability of the machine rather than the person. But it is easy to imagine how some technologies, such as auto-tutoring systems, can pass the benefit of this enhancement on to the users. Those physiological computing devices designed to monitor and feedback data (such as our bodyblogging project and similar concepts from the Quantified Self) are designed to make the invisible visible – to quantify changes in behaviour and physiology in order to enhance self-regulation. The existence of technology is effectively a justification for the creation of BCI, affective computing and biocybernetic adaptation as the ultimate purpose of these categories is to enhance and enrich human-computer interaction. For monitoring technologies, the ultimate goal is to enhance human choices and decision-making. None of these instances are redundant in the way that Norman’s example was, but redundancy is a constant threat to this category of technology that can act as a alternate source of information to our human intuition, insight and self-monitoring. Like Hancock, I feel that people working in HCI and human factors are best-placed to both pose and answer both questions because it is our role to represent the user, and not just the users of today but also the users of tomorrow. This entry was posted in Musings and tagged affective computing, augmentation, concepts, cyborg on August 2, 2013 by Steve Fairclough.